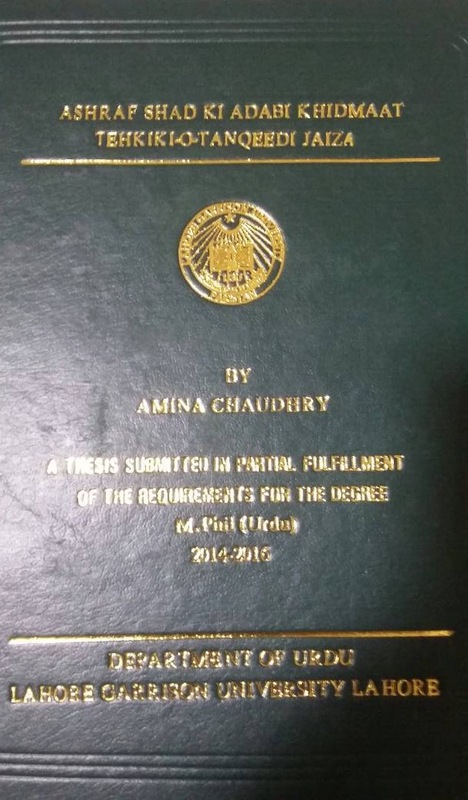 Amna Chaudhry, a lecturer at the Garrison University Lahore, has achieved the MPhil degree by researching the life-time literary and journalist work of Ashraf Shad. A 423-page comprehensive research discuss Mr Shad's novels, short stories, poetry and his life as a journalist. A well researched work analyses all of Ashraf's dozen books, one by one, and quotes peers' assessment of his poetry and prose. 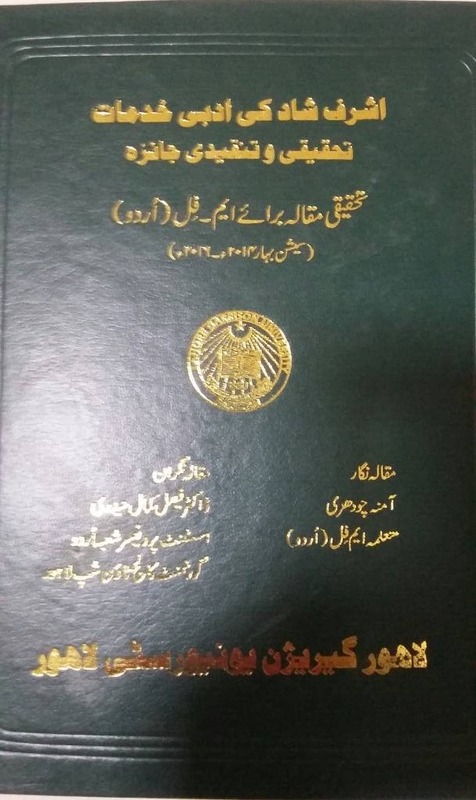 She also traced the history of Ashraf's Jawanshir tribe as far back as 19th century. 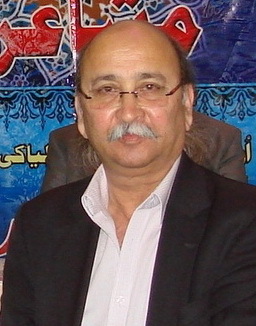 Dr Faisal Haidery was the supervisor of Ms Chaudhry in this research work.